Retractable gel pens contain Uni Super Ink that helps prevent check and document fraud. Acid-free ink is fade-resistant and water-resistant. Thick, vibrant lines allow you to make a bold statement every time you write. Tip retracts to protect your purse, bag or briefcase. Textured grip provides superior writing comfort and control. 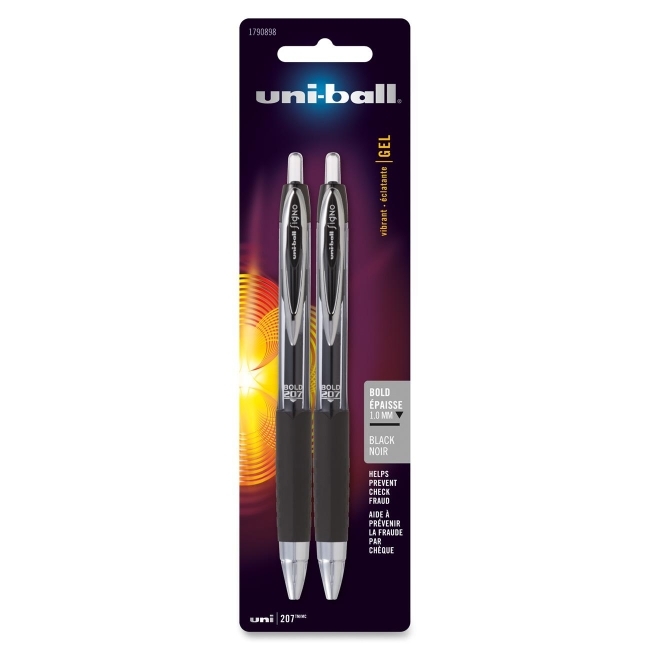 The Uni-ball 207 also features a comfortable grip and clip-on barrel so you can attach the pen to pockets, notebooks and more.